No, none of these are the White Wolf Mining Company (AZ). It's in the pines and there is not much here but rock. I like taking pictures of old mines. 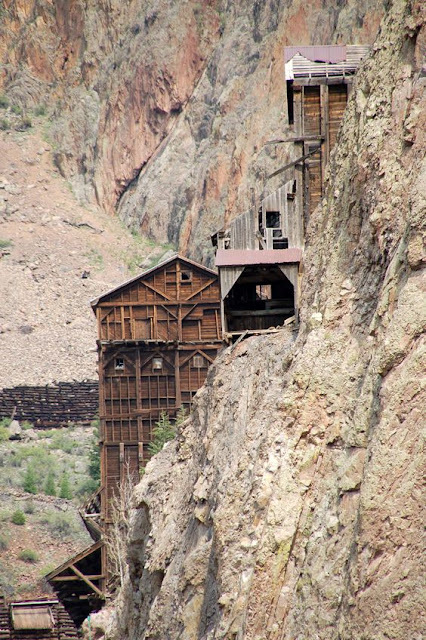 You have to be careful when exploring old ghost towns and mining sites because there are air shafts (sometimes lightly covered with rotting timbers and an inch of dust and gravel) and lots of other things that can spell disaster for even the stoutest souls. It's best to explore them while taking great care. Sometimes there are marked graves, but there is always a back story. The larger the abandoned mine, the bigger the story. These mines and the towns that grew up around them in Colorado, Arizona, California, Nevada, etc. were the very marrow of the land. The promise of riches brought people west - for a number of reasons. Some sought their fortunes and gamblers came to generally cheat the miners. Teamsters came to feed them and the Chinese ran restaurants and built the laundry industry in boom towns. There was a railroad that joined the coasts but so much of that followed the search for gold and silver. National debt following the Civil War/War of Northern Aggression caused the government to open the Black Hills to gold exploration and sparked one of the last great Indian wars that led to the demise of much of the Seventh Cavalry Regiment on the Little Big Horn River. 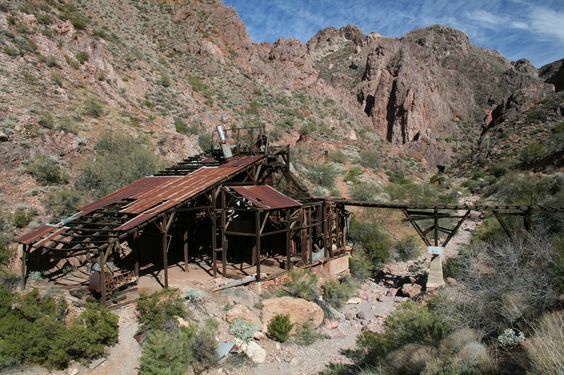 The silver mine (left) in Martinez Canyon, near Florence, Arizona was a stamping mill used to break up silver bearing rock. When the silver ran out, so did the miners, leaving mute testament to what happened here.